Welcome to “The Windy City.” With more than 3 million residents, Chicago is the third most populous city in the U.S., and known for the great winds that blow off the nearby southwestern shores of Lake Michigan. At the same time, Chicago events, which attract more than 35 million leisure travelers each year, are second to none when it comes to exciting, absorbing and even provocative tourism experiences. For instance, Chicago was the first city in the world to use a Ferris wheel to attract visitors. Today, the 150-foot tall Ferris wheel at the famed Navy Pier attracts more than 10 million visitors each year, and the Chicago Chamber of Commerce states it is the most visited landmark in the Midwest. When it comes to the best things to do in Chicago, the jury is still out because many residents say “it all depends on what you like to do.” For example, the tourists who enjoy shopping for trendy and upscale merchandise usually visit Chicago’s famed “Magnificent Mile and State Street.” The street literally features thousands of shops and restaurants against the backdrop of the city’s massive architectural marvels. The first best place to experience the real Chicago is the Chicago Cultural Center that serves as the city’s “Visitor Information Center” and headquarters for finding out what is currently happening in and around Chicago. 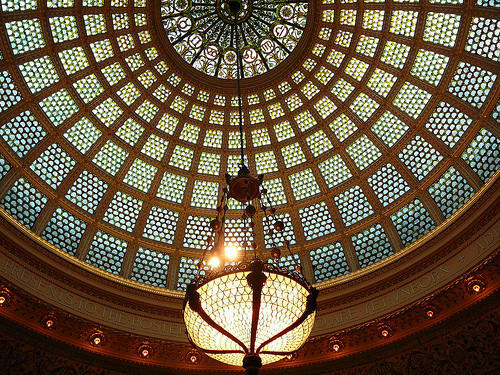 The center once served as the historic Chicago Public Library, and is a must for photography fans with its 19th century exhibit halls and serene art galleries. The city’s visitor center is near “Preston Bradley Hall,” where visitors can look in awe at a massive 38-foot Tiffany glass dome that reflects the colors of the rainbow year round. Also, there are numerous online testimonials from happy tourists who say they took some “wonderful photos” under the Tiffany dome. A walk down the “magnificent mile” – that features lots and lots of trendy upscale stores, restaurants and interesting bars and pubs — is also a great place to begin a visit to this spirited town. In turn, this downtown area of Chicago also features State Street and top landmarks such as the Chicago Water Tower. Chicago visitors and locals often comment online about visiting the amazing Millennium and Grant Park. This energetic region of the city features the popular Art Institute of Chicago and the wondrous Buckingham Fountain. While visiting Millennium Park, do not miss taking photographs and a nice break to relax and watch all the people go by at the calm and peaceful reflective “Cloud Gate” sculpture. 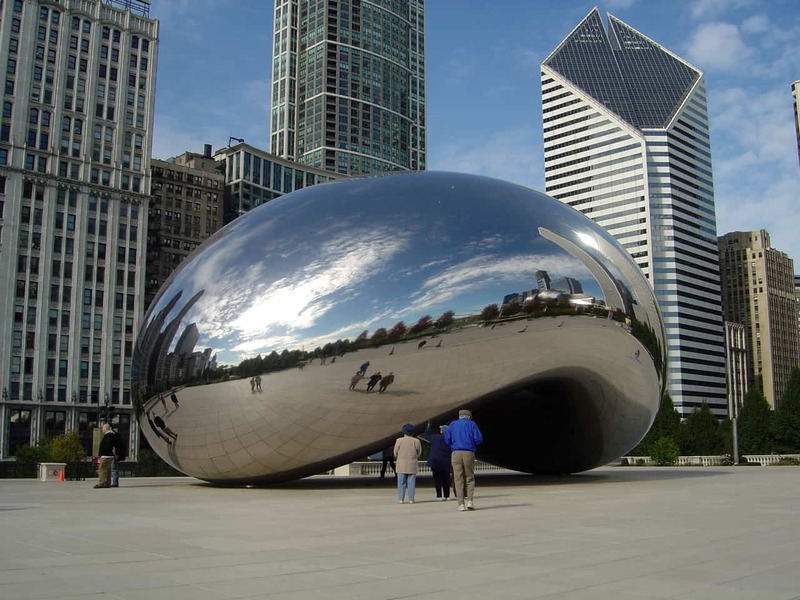 This clever work of art by the British artist Anish Kapoor is also considered to be the centerpiece of the famed AT&T Plaza that is also part of Millennium Park. 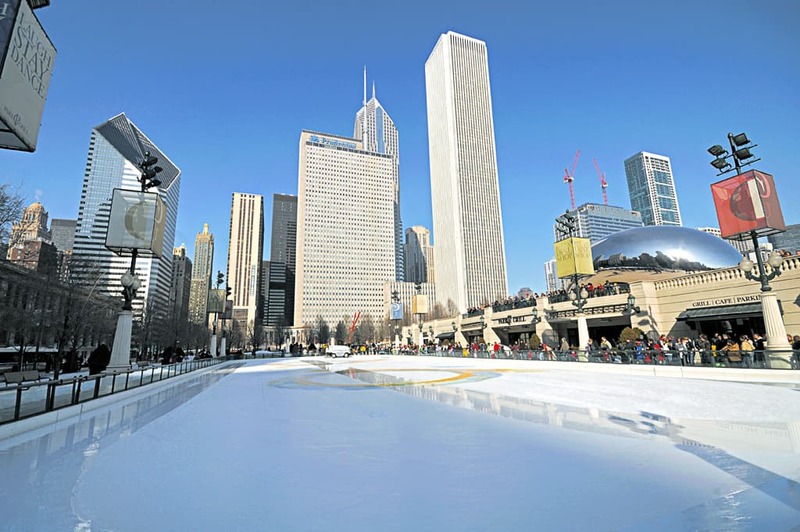 While visiting and hanging out at Millennium Park, be sure to enjoy the legendary ice rink that is packed with locals and visitors during the winter tourist season; while the area around the ice rink features interesting cafes and outdoor restaurants that are the place to be on a spring or summer evening in the city. 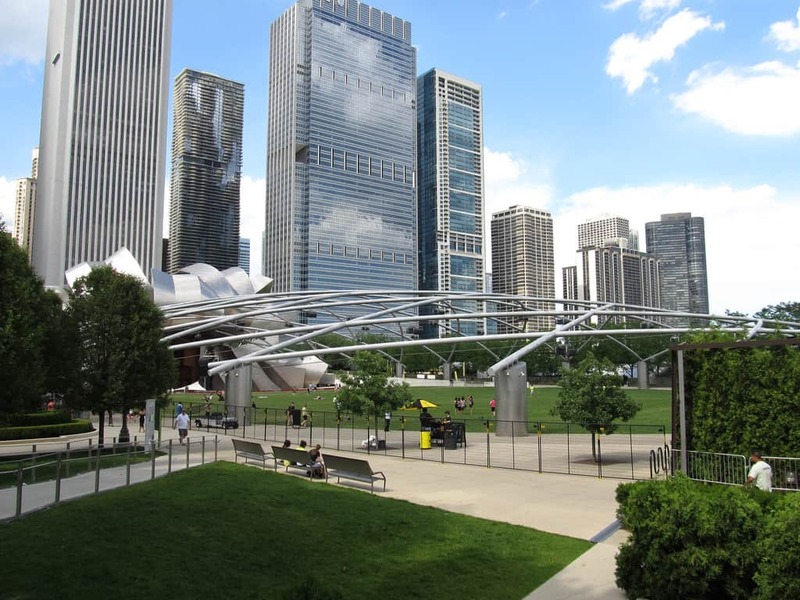 In addition, this popular park features the annual “Taste of Chicago” festival during the spring season. The Crown Fountain, that has been featured in hundreds of Hollywood films and television shows, is also located near Millennium Park. 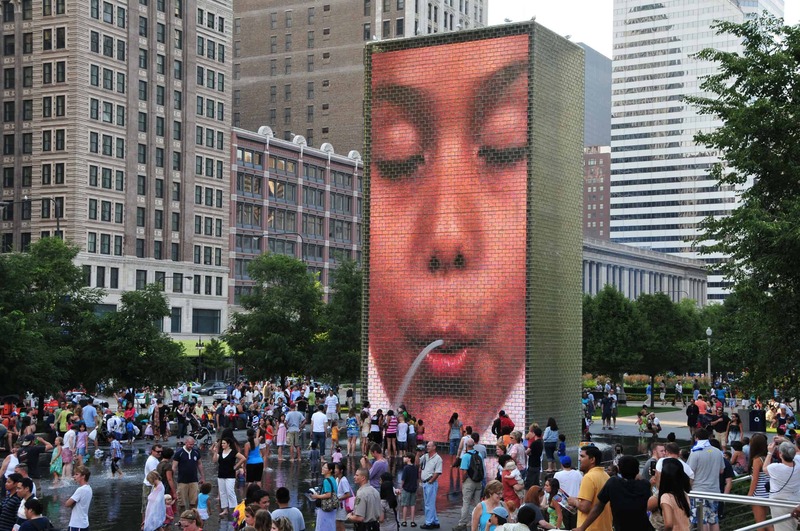 The Crown Fountain is said to be simply stunning during the evening hours when two massive glass sculptures display high-tech visual effects that include fascinating images of people’s faces from the great American melting pot, that is Chicago. 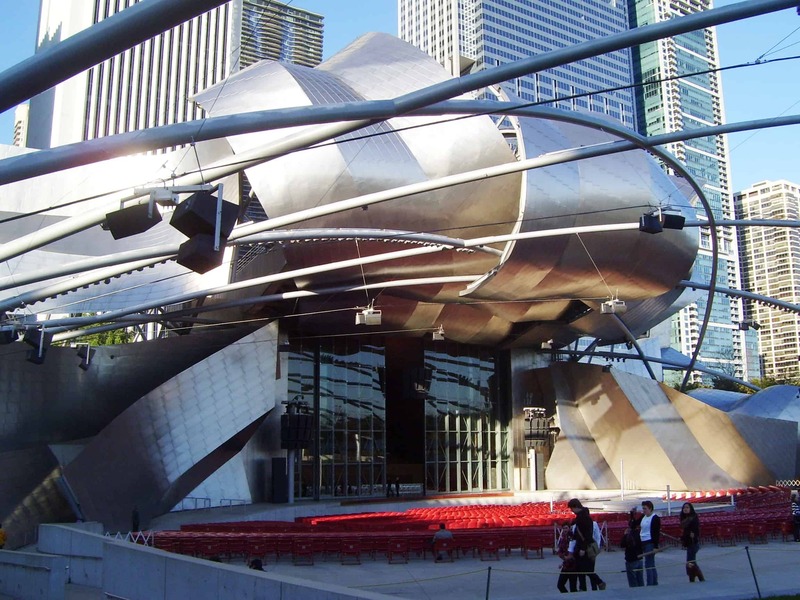 Concert fans will head to the city’s famous stainless steel band shell at the “Jay Pritzker Pavilion,” that is the site of the annual Grant Park Music Festival concert series. In fact, President Barack Obama, who hails from Chicago, has said he always enjoyed spending a lively evening at this festival that attracts musicians and arts from across the nation and worldwide. In addition, there are a number of buildings behind the pavilion’s stage that serves as an indoor concert venue for the Harris Theater for Music and Dance. This is the concert hot spot in Chicago for the city’s Music of the Baroque. 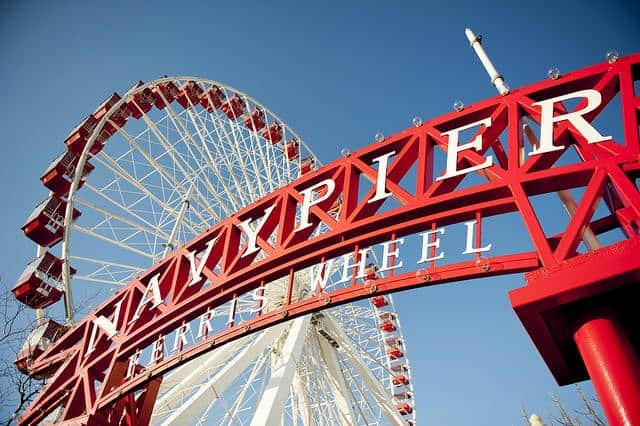 The fun place in town to take the kids is the Navy Pier located on the city’s free and easy Streeterville. 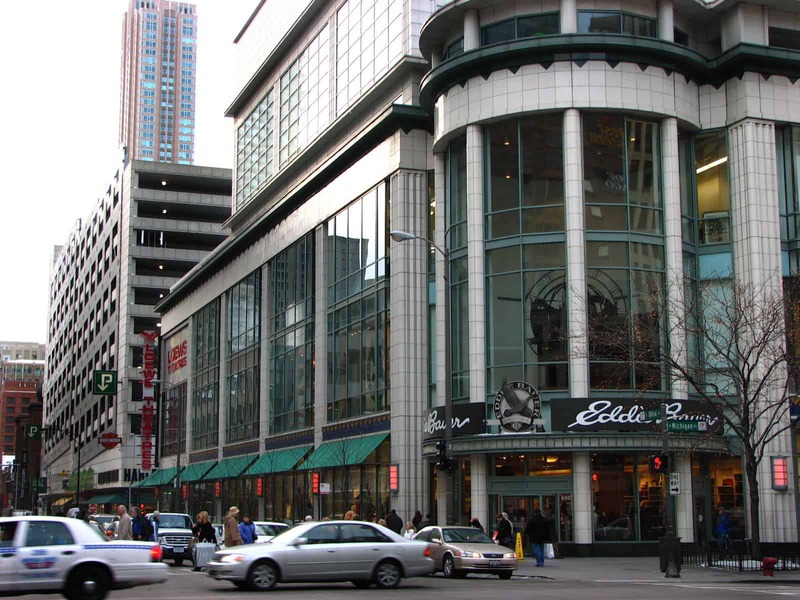 This section of Chicago is known for its many fine and casual restaurants, museums, entertainment auditoriums and retail stores. Of course, this is also where visitors can ride the famed Chicago Ferris wheel. 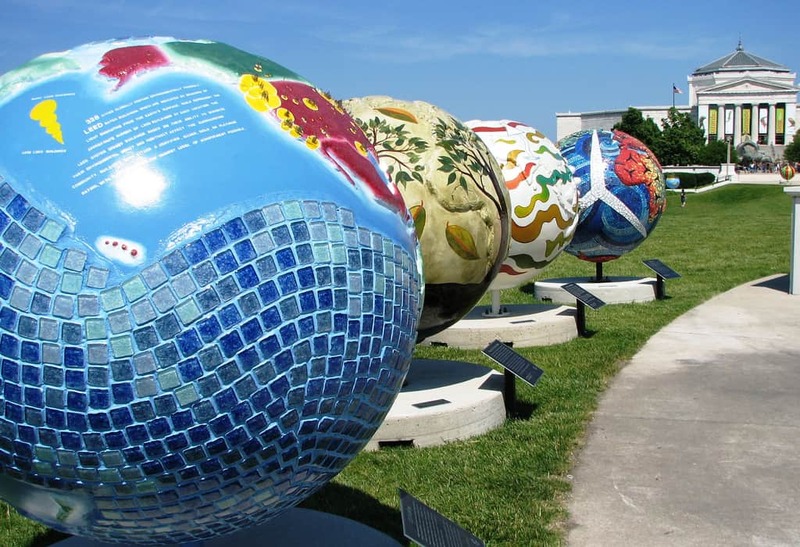 Another “not-to-be-missed” tourism center in the city is the Museum Campus, that includes a lovely 10-acre lakefront park on Lake Michigan and three of Chicago’s top museums: the Field Museum of Natural History, the Alder Planetarium & Astronomy Museum and the engrossing Shedd Aquarium. The Museum Campus region of town also features bright and beautiful Grant Park, Buckingham Fountain and the much celebrated Art Institute of Chicago. 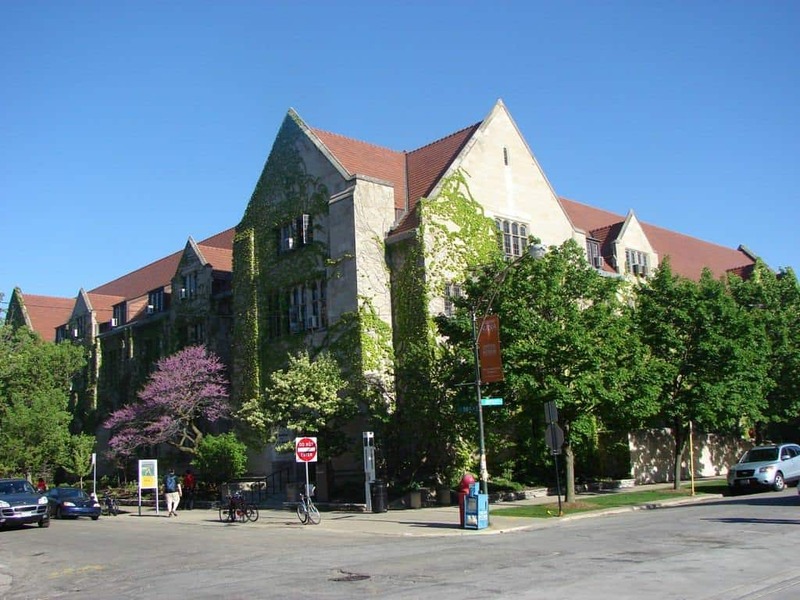 Also, the lakefront region of Chicago is the place to check out the University of Chicago Oriental Institute that houses the exclusive collection of Middle Eastern and ancient Egyptian sculptures and artifacts. 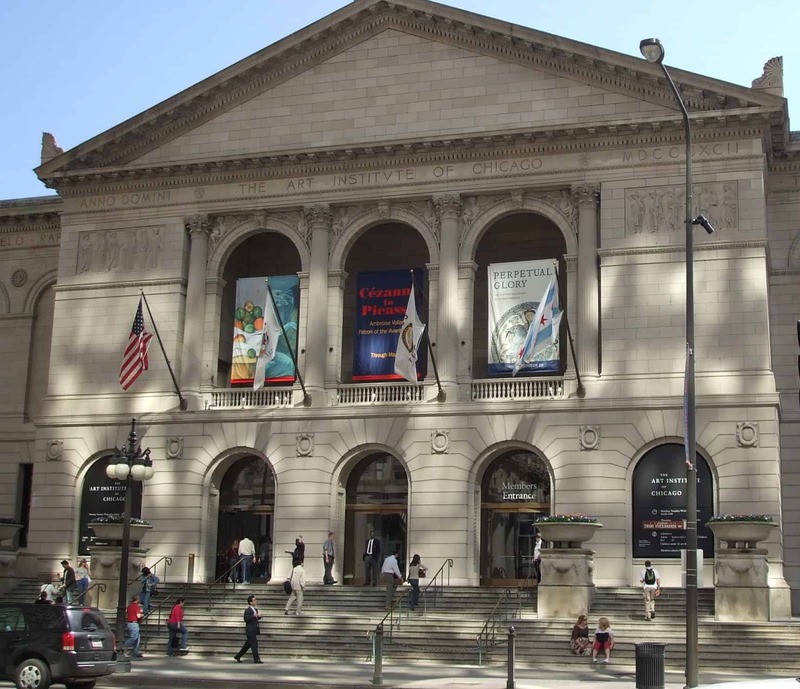 The other top museums includes the DuSable Museum of African American History, the Museum of Contemporary Art, the Chicago History Museum, the Peggy Notebaert Nature Museum, the Polish Museum of America, the Pritzker Military Library, the Museum of Broadcast Communications, the Chicago Architecture Foundation and the massive Chicago Museum of Science and Industry. In turn, the Museum of Science and Industry features a fascinating exhibit of Air Force and NASA technology spinoffs, and exhibits from around the world. Chicago cuisine is a tourism attraction by itself, states the city’s chamber of commerce. 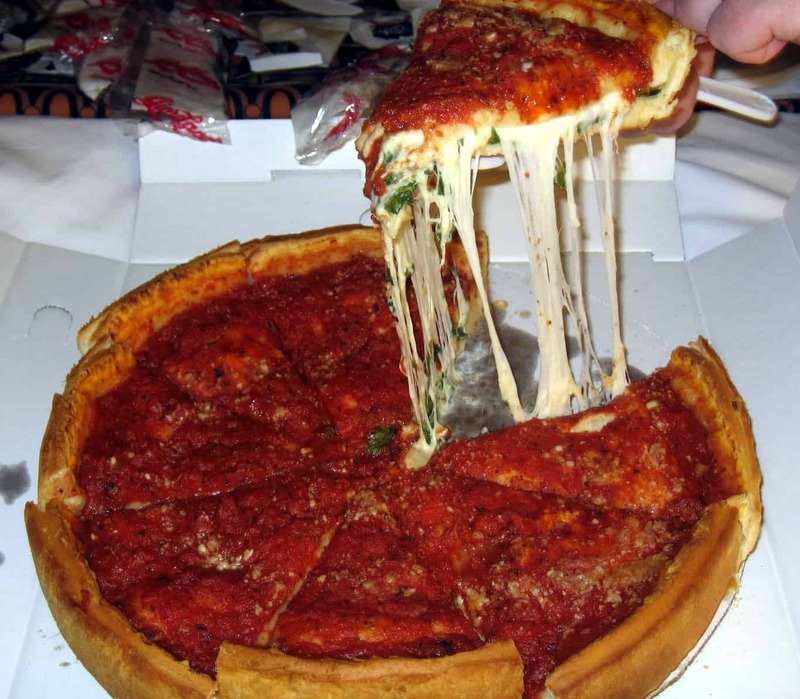 For instance, Chicago claims that its deep-dish pizza called “Chicago-style pizza” is reason enough to visit the city. In addition, there is the Chicago-style hot do that is a big, long Vienna beef hotdog that is loaded down by street vendors with lots of big dill pickle spears, tomatoes, pickled hot peppers and lots of other good stuff on a S. Rosen poppy seed bun that is mmm good! The other must have taste of Chicago fast food treat is the Chicago Italian beef sandwich that features very thin slice beef that is served on a crusty Italian roll and topped with lots of sweet Italian sausage and lots of sweet and sour hot peppers. The local fast food treats can be found all around the city, with food charts and trendy cafes and restaurants serving this popular sandwich. A visit to the Windy City would not be complete without trying the famed Maxwell Street Polish. This local fast food is composed of both grilled and deep-friend Polish kielbasa sausage. It is served on a big and soft hot dog roll and topped with hot peppers, lots of local mustard and grilled onions that fall off the bun as you walk and eat this yummy concoction. In addition, to enjoying some Chicago Polish foods, there are also German and Chinese food regions around the city in the many ethnic neighborhoods that are clearly marked. For instance, there is a “German Festival,” and an “Irish Festival,” and a food styled festival for most of the Chicago’s many nationalities that can be enjoyed and visited by tourists year round. Chicago is also known as the best sports city in the U.S. As such, there are some must see places in town that are historically linked to American sporting history. For instance, Chicago is home to the Chicago Cubs and the Chicago White Sox professional baseball teams. 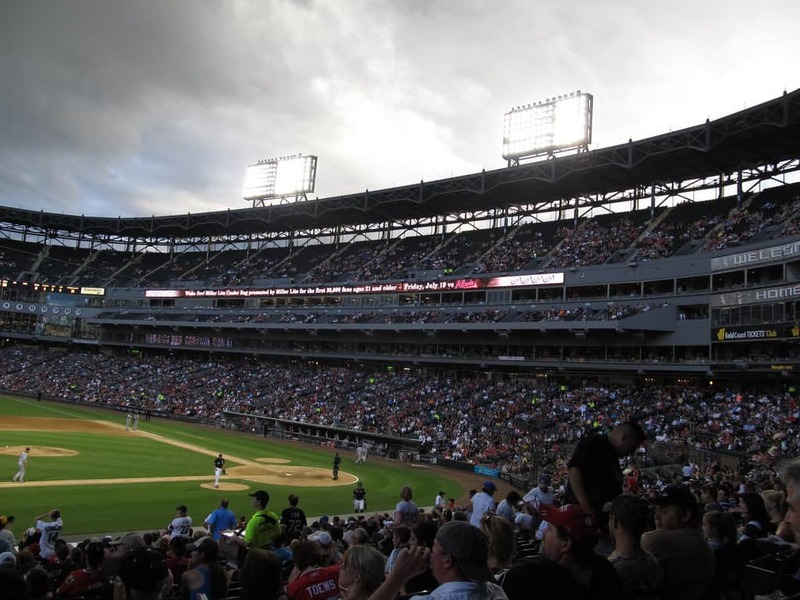 Cub’s fans can watch the team play in Wrigley Field, while White Sox fans can catch a ballgame in the south side of town at U.S. Cellular Field. The famed National Football League team, the “Chicago Bears” can be seen during the fall and winter months at the massive home field known as Soldier Field. The city’s municipal parkland features more than 8,000 acres distributed throughout the metropolis where people can sit and walk for free; while enjoying nature and the old Chicago neighborhoods. 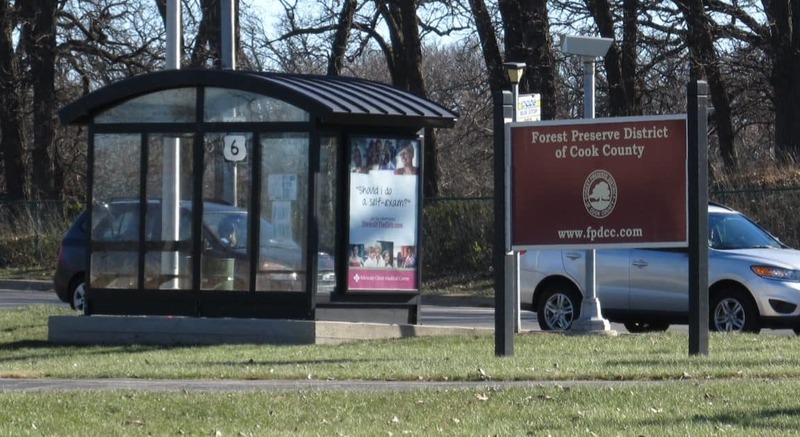 Nature lovers can also enjoy more green spaces in the city when checking out the Cook County Forest Preserves. This massive network of big, wide open spaces is a great green area to enjoy natural wetlands, streams, lakes, deep forest and lakes. Chicago is known as a world center of higher education. 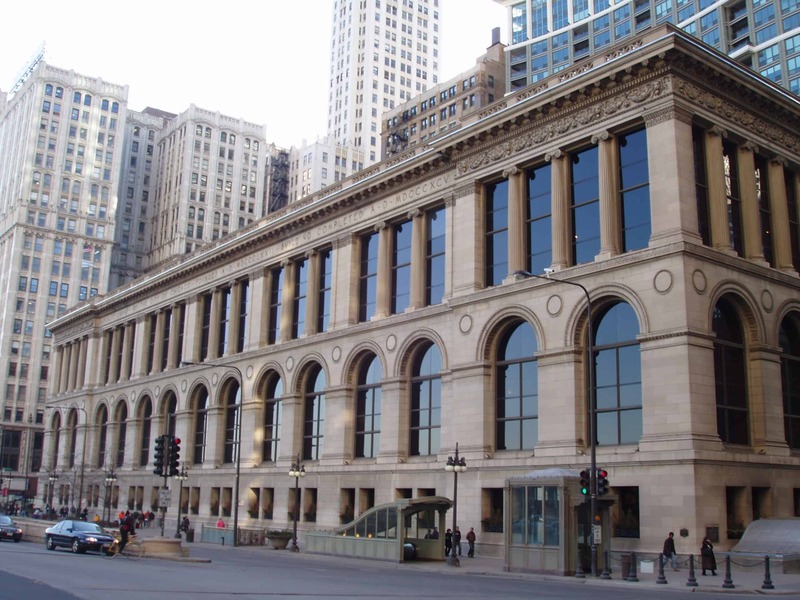 In fact, the city’s many top universities date back to the mid-19th century with top universities to visit in Chicago including The University of Chicago, Northwestern University, Loyola University Chicago and DePaul University. There are also some 40 other major colleges and universities within the city that offer all sorts of interesting art, music and entertainment events for visitors. 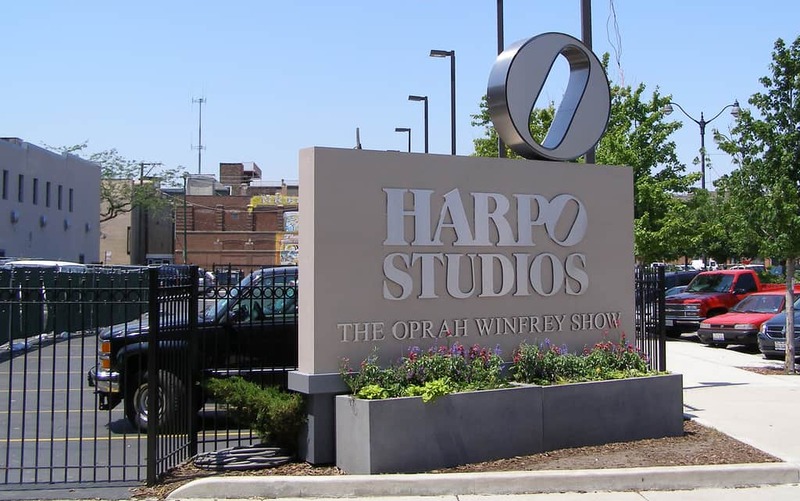 Because the Chicago metro area is one of the largest media markets in the U.S. and North America, there are tourists who want to see Oprah Winfrey’s “Harpo Studios,” and dozens of other top American TV shows when visiting the city. Chicago is also viewed as a Hollywood and film friendly town with dozens of films being shot throughout the city on a regular basis. Visitors often comment online about running into top movie stars and celebrities when visiting downtown Chicago near where the two major daily newspapers are headquartered. 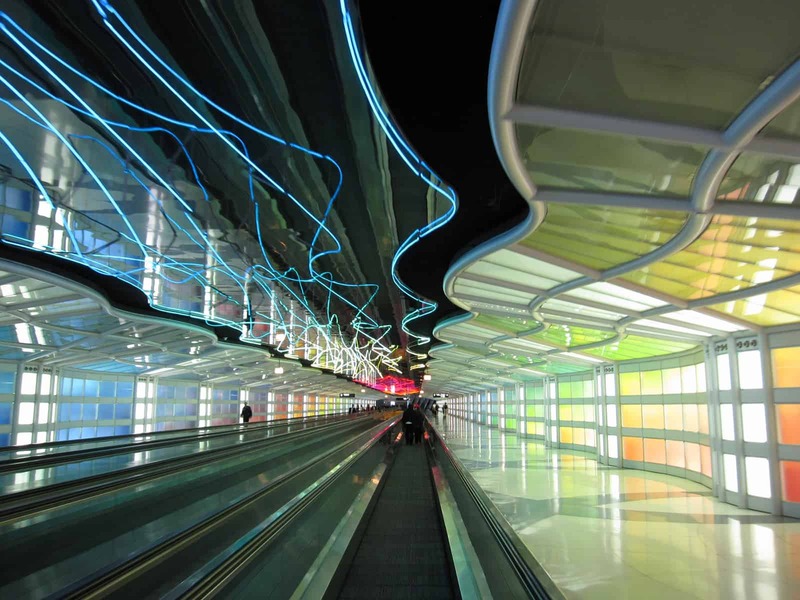 O’Hare International Airport that features the stunning “Gershwin Tunnel” located between concourses C and B in Terminal 1. The tunnel made of reflecting glass that has been featured in dozens of science fiction and adventures movies and TV shows. Kids say the tunnel is awesome, and a must for visitors either arriving or departing Chicago from the world’s second busiest airport. In general, Chicago is considered to be the seat of true American tourism with some of the best visitor experiences anywhere. Overall, the “24 Best Chicago Experiences” all involve interacting with the people of this proud city that is sometimes called Chicagoland. Also, since Chicago was incorporated as a city back in 1837, tourists soon learn that the city is all about its proud history as a true melting pot for people and cultures from around the world. The city is also strategically located between the Mississippi river hub and the Great Lakes, and thus making this “Windy City” a truly fantastic place to visit in America today.